I also pulled a radish, which I actually started harvesting in the last few weeks, but have been trying not to take too many study breaks to blog about it. My absolute favourite lettuce type was the green one in the centre of the photo, so crisp & buttery!!! If anyone can tell me the common name for this kind I would be oh so grateful, I’ll try to source it seperately because I only got a single plant of it in the mixed punnet of seedlings I bought. This made the most delicious salad ever to take to the library for lunch today!! 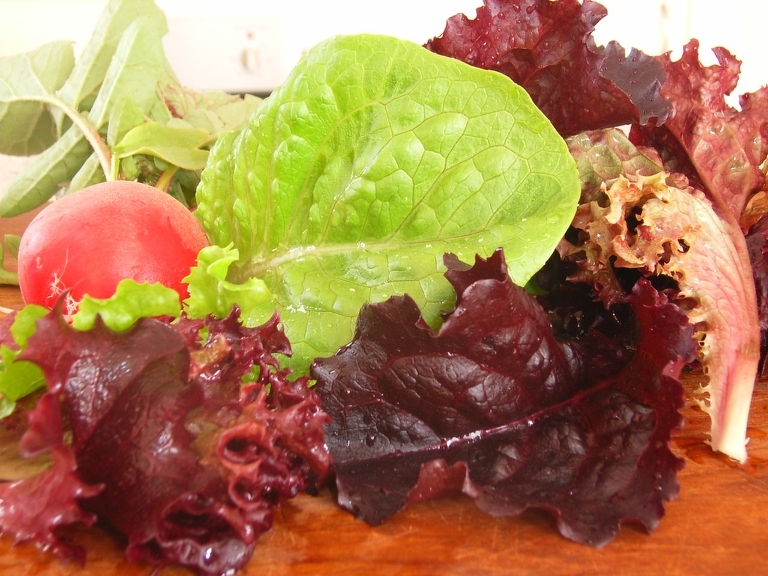 This entry was posted on November 5, 2008 at 8:42 pm and is filed under gardening, salads. You can follow any responses to this entry through the RSS 2.0 feed. You can leave a response, or trackback from your own site.